Karan Veer Narang from Jaipur, Other Graduate. DIGITAL MARKETING SEARCH ENGINE OPTIMI.. SOCIAL MEDIA MARKETI.. CLIENT HANDLING HOSPITALITY BRANDING.. BRANDING HOSPITALITY BUSINESS DEVELOPEMEN.. TEAM MANAGEMENT	RELA.. TOURISM HOSPITALITY ..
are one of expert skill area's of Karan Veer Narang . 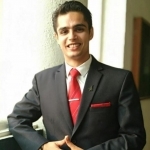 Karan Veer Narang is working in Sales Marketing industry.